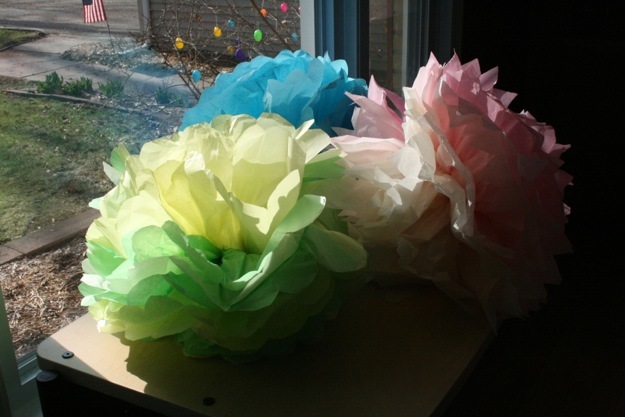 Now that Easter is over and I am either forced to individually remove the 49 plastic eggs from the verbena tree in front of our house or face the silent ridicule of our neighbors I decided to go the responsible route and start a new project: tissue paper flowers. 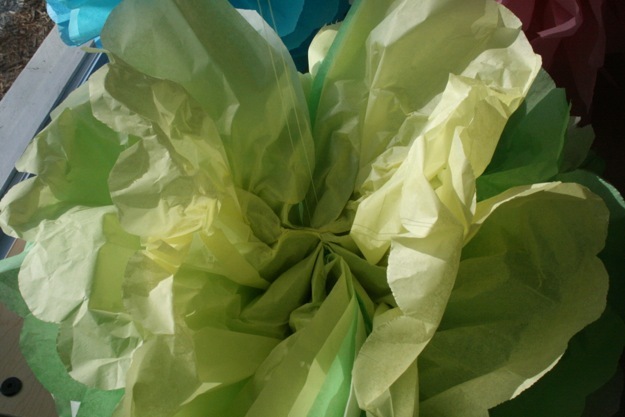 Tissue paper flowers are both inexpensive and simple to make. As a bonus, they look ridiculously complicated, so you turn out looking like a paper craft genius. 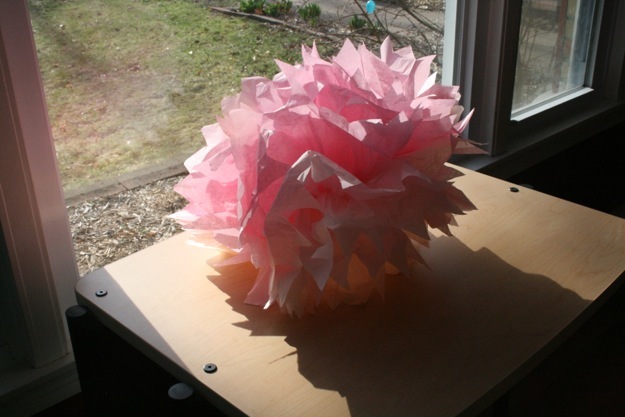 It turns out that tissue paper is the exact size needed to make a large flower. 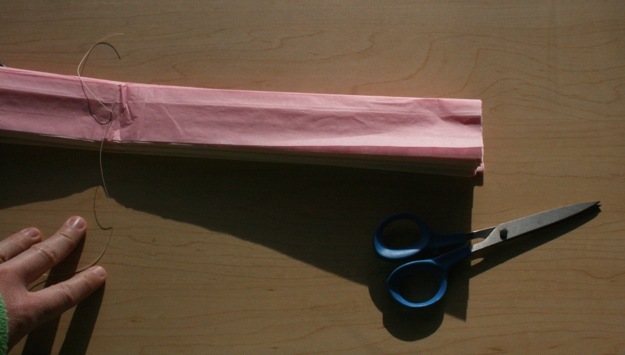 If you want a smaller flower, cut the sheet of tissue paper in half. 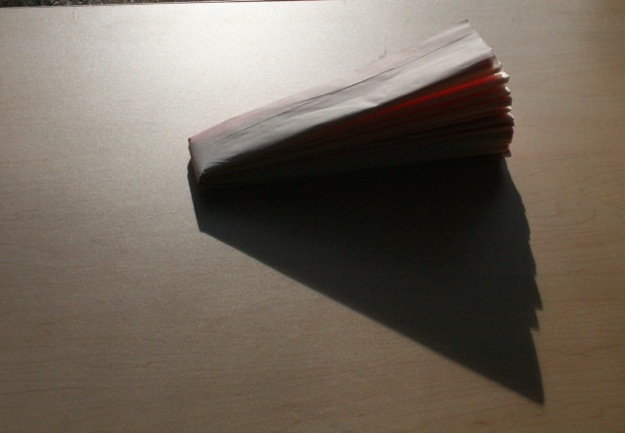 Stack seven or eight pieces of paper together and place them on a table. Try as best you can to line them up, but they really do not need to be perfect. 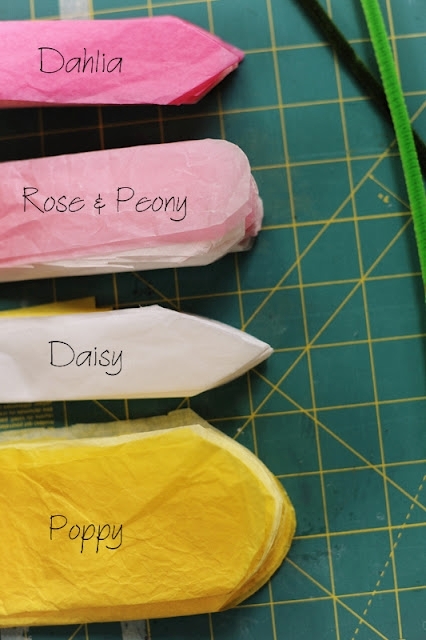 If you want a multi color flower then use multiple colors of paper. I used different colors of pink. Now you are going to start folding the paper. Take a length of paper about the size of your pointer finger and fold it forward and make a crease. You are going to start folding the paper like an accordion.  Keep folding and creasing. 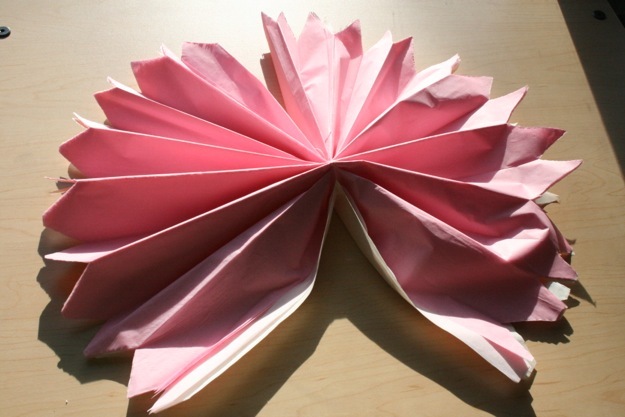 Remember the folds need to be an accordion fold. 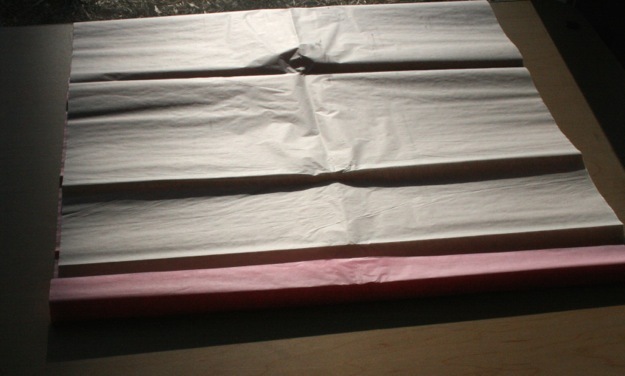 Fold the paper until you have folded the entire sheet. 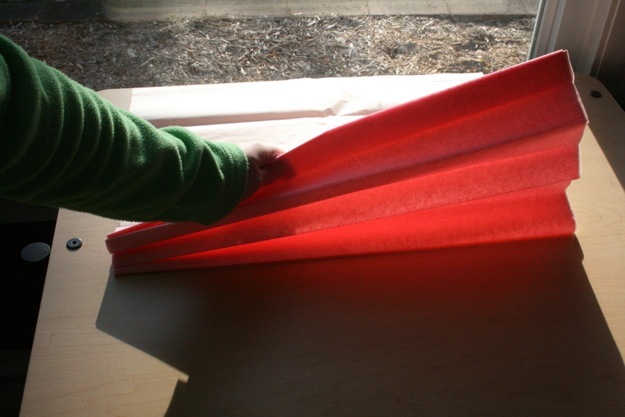 Fold your strip of paper in half. 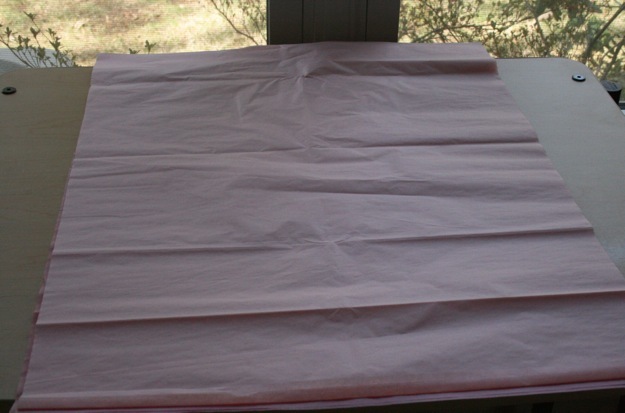 In will be very thick, but just fold it in half and make a crease right in the middle. Take your thread and cut a twelve inch piece. It does not need to be perfect. 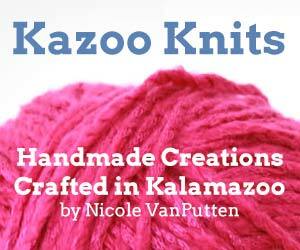 Take the thread and tie it around the middle right at the fold. Using your scissors you are going to cut out your petals. This guide will help you decide what shape to cut your ends. Be brave and cut the ends off of both sides. 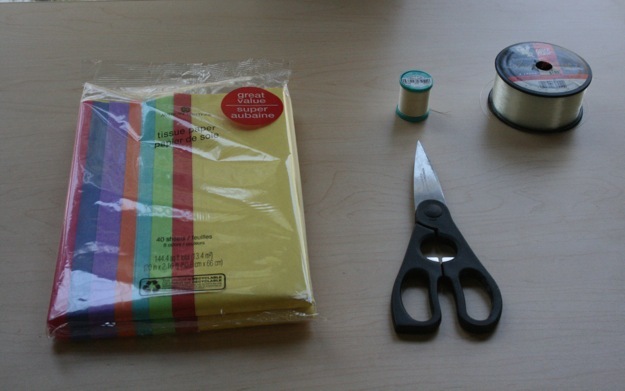 When you are finished cutting, keep the string tied in the middle and open up both sides of the paper. 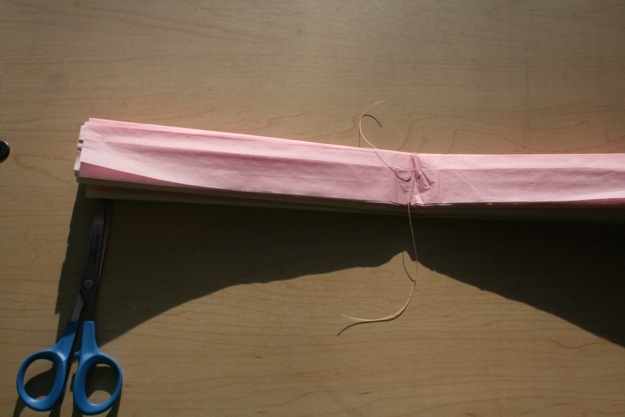 Very carefully separate each layer of tissue paper on the first side making sure to keep the thread tied in the middle. 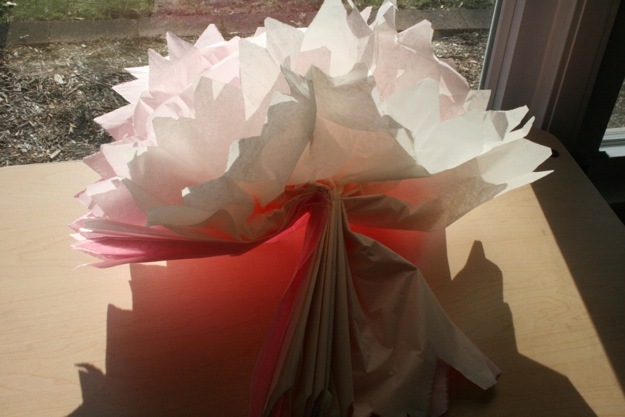 Turn your flower around and separate each layer of paper on the other side and huzzah! 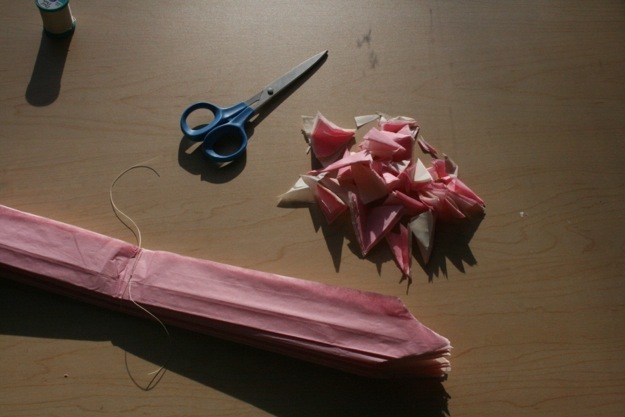 You may need to fluff out the layers a bit, but your flower should take shape fairly quick. To hang you flower run your fishing line or clear thread through the original middle thread in what ever length you need and tie a knot. Our flowers are hanging in our front window and they look pretty fantastic. Unfortunately, I still have 49 Easter eggs mocking me on our tree.